Fisch How It Works - Dont buy fake gold coins. Get the Fisch. Protect your gold investment. The information panel has the name of the coin the Fisch checks & gold or platinum content in troy ounces. 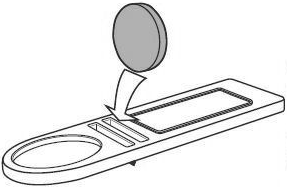 Reject a coin that does not pass through the slot. Reject a coin that does not fit in the recess. Reject a coin that does not tip the Fisch. The information panel has the name of the coin the Fisch checks & silver content in troy ounces. Reject a coin that does not pass through the GO/MAX slot. Reject a coin that passes through the NO GO / MIN slot. Reject a coin that does not fit into the recess. Reject a coin that does not balance the Fisch. 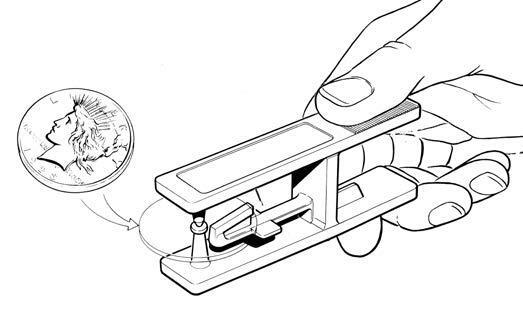 Squeeze open the arms of the Ringer and put the center of the coin between the arms. 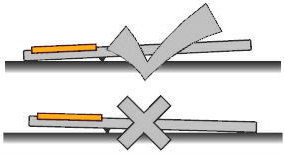 The coin must be held flat between the arms. If it is tilted, it will not ring properly. Hold the Ringer tightly, squeezing the arms together to increase grip on the coin. Put the thumb of your other hand on the hammer platform. 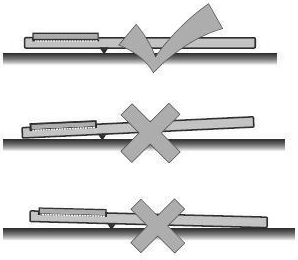 Press down, tilting your thumb so you nail is on the platform. 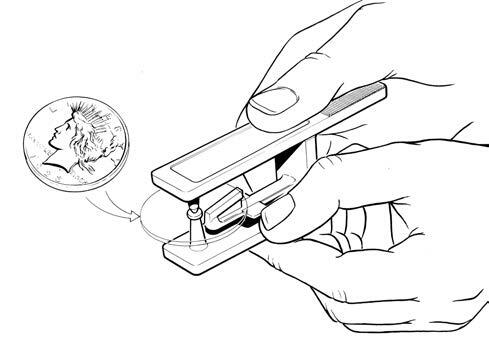 Slide your nail forward until it slides off the platform, releasing the hammer to ring the coin. 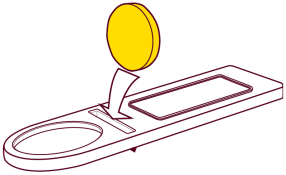 Press down on the Ringer on a table top, increasing the grip on the coin. Hold a pen as you would write. Put your pen on the lip below the hammer. 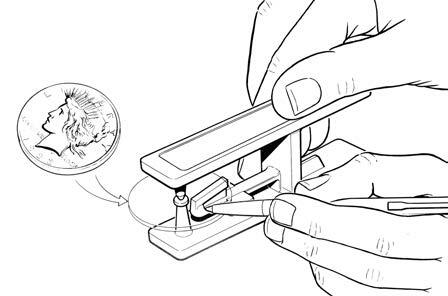 Press down while sliding the pen forward until it slides off the lip, releasing the hammer to ring the coin. of techniques that work best for you. The Fisch is packaged in a holder with full instructions on use and a travel pouch. "I received it Friday. I love the wallet and the labeled sleeves: it keeps it all handy and organized. It's a fine product!" "I had a very good idea what the Fisch looked like from the website, but I wasn't expecting them to be contained in such a nice binder." "We have received our first Fisch purchase, and are very happy with it. Love the neat package it comes in - I thought we'd just get the testers in a jumble, but the nice D-ring folder is a lovely bonus."